Some people will say, but my school district doesn’t pay for me to drive to my commencement ceremony. And those on the other side of the argument will say, yes but you don’t live two hours from where it’s being held. 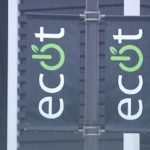 Because ECOT is an online charter school with students all over the state, some of them will live quite a distance from both testing locations and graduation sites. Conversely, kids attending normal public schools typically live relatively close to these same kinds of locations. Still, concerned citizens will point out that this stipend could have been used as an incentive to get kids to attend the graduation ceremonies which were in turn used in part as a dog and pony show to make the school appear as if it was successful, when in reality it had the worst four year graduation rate in the country. Very few expenditures in the charter industry are illegal under Ohio law. So why do state officials not regulate charters? Simple. The charter lobby controls the charter law via campaign contributions. Meet The New Copperheads. They’re Also Called Republicans. Sick And Tired Of Winning. Remember Who Said Those Words.